this is my first map. 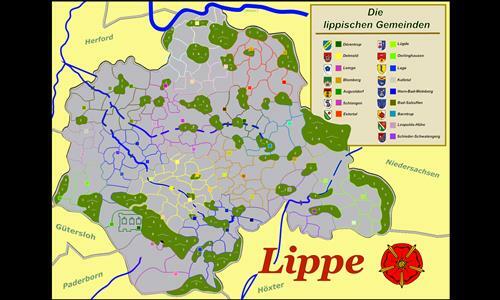 It is about a small region in germany called Lippe. I hope you enjoy it. Review by Nathan on 3/10/2014. Great map - lots of great chokepoints but not an automatic turtle game. Even better, the AI actually seems to play with some skill on this map. Review by KickAss on 3/8/2014. Review by M. Poireau on 5/27/2015. This is a wonderful map! But there is a missing connection: Herrentrup does not connect to Wellentrup. Review by tiben on 3/14/2014. Best map so far! Great looks, great tactical options with many chokepoints and well balanced. 5 stars, it is indeed amazing. Review by BloodBath185 on 3/18/2014. Review by Spresso on 3/10/2014. Review by Sugarhi on 6/27/2014. Review by ELLAS on 10/19/2014. Review by Jazz on 10/28/2014. Review by G_GR on 12/27/2014. Review by OTPM on 11/27/2014.